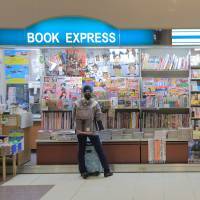 Are libraries to blame for Japan's slump in bunko paperback book sales? Kiyondo Matsui, the president of the publishing house Bungei Shunju, spoke at this year’s All-Japan Library Conference, which took place in Tokyo on Oct. 12 and 13. During his talk, Matsui asked the assembled professionals to no longer acquire bunko editions of books for lending in their libraries. Bunko editions account for 30 percent of Bungei Shunju’s sales, according to a document Matsui distributed before the speech, and in recent years libraries have been “aggressively” lending out more bunko editions than they had in the past. This practice adversely affects Bungei Shunju’s bottom line, which has been suffering for a number of years due to loss of revenue to online content and other digital media resources. Various media took note of Matsui’s unusual remarks. Libraries and the publishing industry have always had a fairly congenial relationship because the mission of libraries — to promote reading — is, in the end, advantageous to publishers, even if libraries give away the content that publishers wish to sell. Matsui’s complaint, however, indicated that he thought libraries had crossed a line and that he no longer viewed the relationship as congenial. Matsui was referring to a specific kind of book — bunko, the smallest paperback size sold in Japan. Traditionally, bunko had been subsequent editions of books originally published in hardcover. They are typically much cheaper than the hardcover versions, and readers often had to wait for their release, usually up to three years, in order to save money. However, in the mid-’90s publishers started issuing books by certain novelists straight to bunko, bypassing both hardcover and the slightly larger shinsho paperback editions. According to a 2012 article in the Asahi Shimbun, this practice was initiated by the popular mystery writer Keigo Higashino, who asked his publisher to make his newest novel available in bunko in order to reach as many of his fans as soon as possible. At first Higashino’s publisher balked, because, as is the custom in Japan, many popular novels are first serialized in newspapers or magazines, which means by the time they are put out in unified book form, a lot of people have already read it. The publisher makes its money back by releasing the novel as an expensive hardcover book, taking advantage of whatever positive word-of-mouth advertising the work has already garnered. In this case, the publisher obliged Higashino and put the mystery out in bunko, which sold 800,000 copies in eight days — a new record. Small paperback editions soon became the core of the publishing business, with more and more new works going straight to bunko. According to statistics compiled by the Publishers Data Research Center, sales of bunko peaked in 2006 at 141 billion copies, but by 2016 that number had dropped to about 107 billion. Were libraries the culprits? According to an Oct. 12 article in the Asahi Shimbun, an average 20 percent of the books lent out by libraries in Tokyo Prefecture are bunko. At the Arakawa Ward library the portion is 26 percent. In his talk, Matsui put the matter into perspective. Bunko, he said, were not designed for lending, they were designed for selling. This wasn’t the first time a publisher had complained about public libraries at the conference. In 2015, the president of another major publishing house, Shinchosha, objected to libraries buying “multiple copies of best-sellers” for lending purposes. 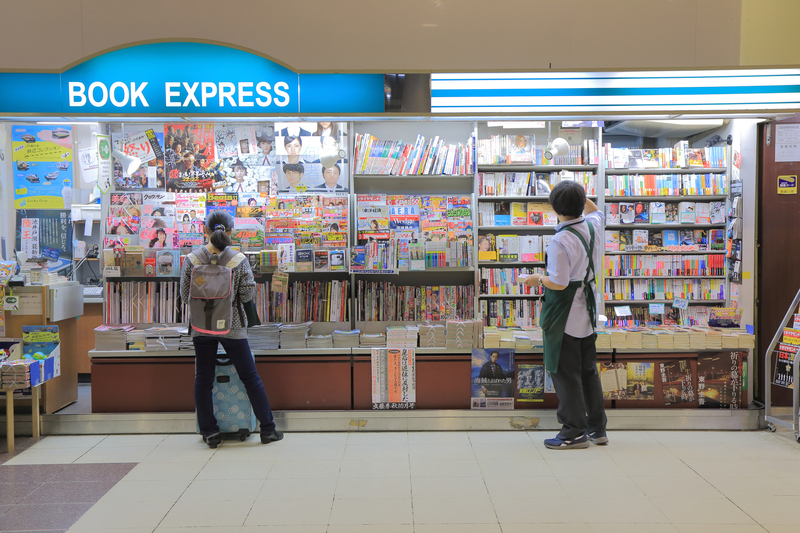 The All-Japan Library Association countered by saying that there was no statistical evidence connecting library lending policies to the overall slump in book sales. Another factor that seems to bolster the publishers’ claims is that while sales of printed matter continues to decline, the number of libraries is increasing. According to the education ministry, there were 742 public libraries in Japan in 1955 and 3,331 in 2015. In contrast, there were almost 4,500 publishers in 2001 and last year there were 3,370. Book sales during the same period dropped from ¥3.25 trillion to ¥1.71 trillion. The used-book market has also suffered. But it should be pointed out that the publishing industry has always been protected from a fickle market by the saihanbai kakaku iji seido, a system of laws that prohibits booksellers from charging less than the cover price of a book, magazine or newspaper. What this means for consumers is that new books have fixed prices in perpetuity. There are no remainders, no discounts, no bulk purchases as you find in other countries. The price on the cover is the price you pay, unless the book is being sold as “used,” in which case the seller can charge anything they want, though the publisher gets nothing from the sale. Moreover, publishers have ways of boosting profits. It’s common for best-sellers, especially translated works, which have higher attendant costs, to be sold in multiple volumes. The publisher simply widens the page margins and makes the typeface bigger. This is now a common practice for bunko, too. Through the 90s the average price of all books in all editions was about ¥1,000 to ¥1,100, which increased to about ¥1,200 in the early 2000s. The average price is now close to ¥1,120, reflecting the greater influence of bunko, which are by definition smaller and cheaper than other editions, so publishers and, in turn, writers, make less money per book sold. The whole point is volume, but bunko have become noticeably pricier. Last February, an online forum run by Yomiuri Shimbun asked readers: What is something you’ve recently noticed that has become expensive? Most people mentioned perishables like butter and other foodstuffs, but more than a few cited bunko. “Once, they only cost ¥300 or ¥400,” one person wrote. “Now it’s ¥500 or ¥600 or even ¥800 for a thick book.” Another person in their 50s said they used to buy 3 bunko at one time because they were so cheap, but not any more. So which is it? Are libraries undermining the publishing business by lending out bunko? Or are publishers scapegoating libraries because they can’t adapt to a changing market environment? For sure, e-books and online resellers like Amazon have altered this environment dramatically, but they’ve done more direct harm to brick-and-mortar retailers than to publishers, which may be a larger factor in the equation than libraries are. Without local book stores, sales channels for publications — magazines as well as books — dry up, driving more people to libraries if they’re not connected online. In the end, it’s not just one thing. Access to reading materials is more complicated than people think it is.